Anita was living an ordinary life. Until an elegant stranger pulled her into another world. Swept away into a court of magic and beauty, she discovers she is Tania, the lost princess of Faerie: the youngest daughter of Oberon and Titania. Since Tania’s mysterious disappearance on the eve of her wedding five hundred years before, Faerie has been sunk into darkness and gloom. The courtly Lord Gabriel Drake, who Tania was once to marry, has found her and brought her back. 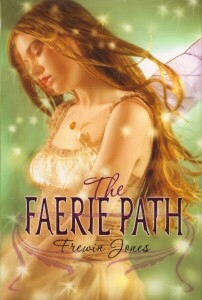 With Tania’s return, Faerie comes alive again as a land of winged children, glittering balls, and fantastic delights. But Tania can’t forget Anita’s world, or the boy she loved there.